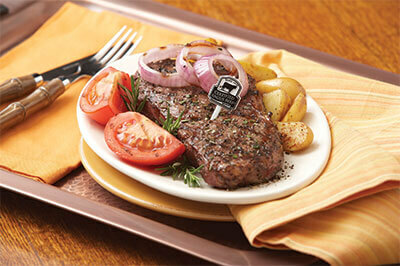 This boneless steak is rich, tender, juicy and full-flavored, with generous marbling throughout. Ribeye seared in a cast iron skillet with bacon fat until perfectly charred then topped with whiskey onions and jalapeño peppers. A sublime meal for any occasion. 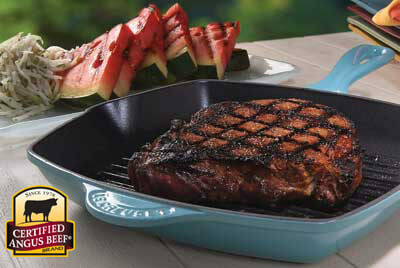 In a large cast iron skillet, sear bacon over medium heat until crisp; use slotted spoon to remove from pan and set aside, leaving bacon fat in the pan. Season ribeye steaks with salt and black pepper. 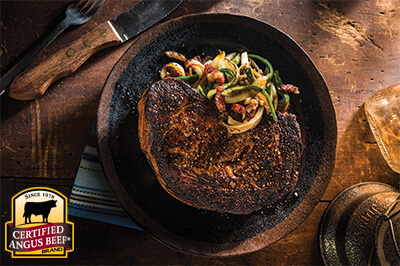 Sear over medium-high heat 5 minutes per side to develop a rich mahogany-colored sear. Cook to medium rare, or your desired doneness. (Optional: After initial sear on each side, finish steaks in a 325° F oven.) Remove from skillet to a clean cutting board or plate to rest. With heat on medium high, add onion and jalapeño to skillet. Sear a minute until charred. Turn off heat and add whiskey. Stir in bacon. 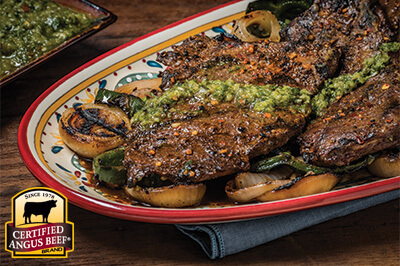 Serve immediately over steaks.